ST. GEORGE – Early voting has begun for municipal races facing primaries across Utah with voters either heading to the polls or sending in mail-in ballots. Early voting at the polls will unfold over the next two weeks with the primary election taking place Aug. 15. 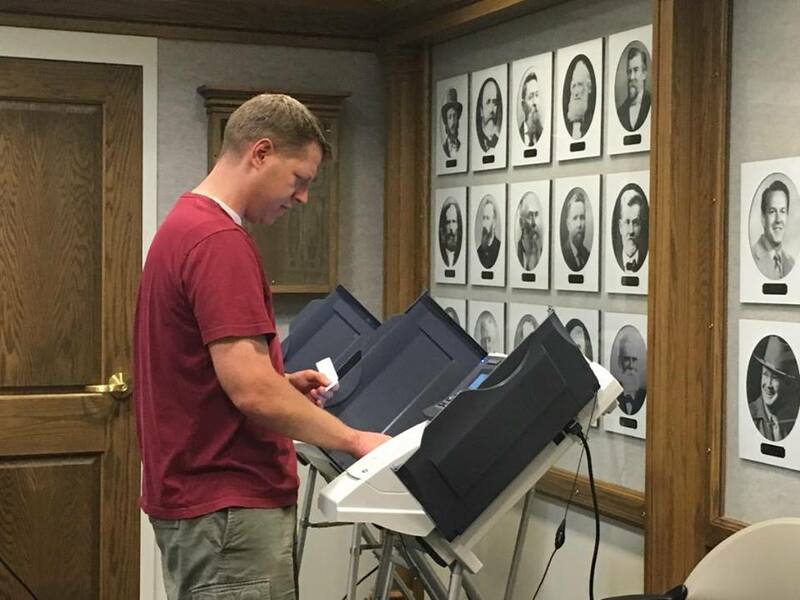 According to the Lt. Governor’s Office, only St. George, Washington City, and Cedar City will be offering physical polling locations for applicable races in Washington and Iron counties. A mail-in ballot drop-off box for Washington County is located at the Washington County Administration Building, 197 E. Tabernacle St. in St. George. A drop-off box for Iron County mail-in ballots is located at the Cedar City Offices, 10 N. Main St. in Cedar City. Utah requires valid identification to vote. The most common form of ID is a driver’s license, but what if you don’t have one? A valid ID card issued by the state or a branch, department, or agency of the United States. A valid Utah permit to carry a concealed weapon. Alternatively, any two forms of ID that display the voter’s name and provides evidence that the voter resides in the voting precinct are also acceptable, and there are others. See more particulars here: UT Voter ID and Process on ID challenge. Please note this information is listed is related to early voting leading up to the primary election on Aug. 15. Voting that day will typically be held from 7 a.m. to 8 p.m. in various locations within their respective municipalities. Also, only the cities listed below are offering in-person, early voting locations for their respective municipal races, according to the Lt. Governor’s Office which monitors Utah elections. For example, Enterprise is not offering in-person early voting, yet the city offices (375 S. 200 East in Enterprise) will be open Aug. 15 for the primary election. In-person locations offered the day of the primary election can be found through the Utah Elections website. Tuesday, Aug. 1 9 a.m. – 1 p.m.
Wednesday, Aug. 2 9 a.m. – 1 p.m.
Thursday, August 3 1 p.m. – 5 p.m.
Friday, Aug. 4, 1 p.m. – 5 p.m.
Monday, Aug. 7 9 a.m. – 1 p.m.
Tuesday, Aug. 8 9 a.m. – 1 p.m.
Wednesday, Aug. 9 1 p.m. – 5 p.m.
Thursday, Aug. 10 1 p.m. – 5 p.m.
Friday, Aug. 11 1 p.m. – 5 p.m.
Monday, Aug. 14 1 p.m. – 5 p.m.
Thursday, Aug. 3 1 p.m. – 5 p.m.
Friday, Aug. 4 1 p.m. – 5 p.m.
Thursday, Aug. 10, 2017 1 p.m. – 5 p.m.
Friday, Aug. 11, 2017 9 a.m. – 5 p.m.
Tuesday Aug. 1 9 a.m. – 1 p.m.
Wednesday Aug. 2 9 a.m. – 1 p.m.
Thursday Aug. 3 1 p.m. – 5 p.m.
Friday Aug. 4, 1 p.m. – 5 p.m.
Tuesday Aug. 8 9 a.m. – 1 p.m.
Wednesday Aug. 9 9 a.m. – 1 p.m.
Thursday Aug. 10 1 p.m. – 5 p.m.
Friday Aug. 11 1 p.m. – 5 p.m.
Ed. note: This article has been updated to clarify that not all municipalities are offering locations for early voting in the primary election. Iron county voters, before you vote yes for a increase in your property tax which will be forever be sure you know about the huge tax grab the ‘our schools now’ group wants. Right now schools are receiving 67% of all state funds. The last state legislature added over ONE TRILLION dollars for the schools, yet they want more! It’s time to be informed before you vote and know it’s up to you to say NO MORE.